I’ve been a fan of Babymetal’s since they were just a unit for a Sakura Gakuin album. Since then, they have become something of a phenomenon, helping inspire more and more alternative idol units. It’s not too much of a stretch to say that groups like Alice Juban have been helped by Babymetal’s relative success. Babymetal is also second to Kyary Pamyu Pamyu in terms of Western reach of Japanese pop acts. I watch Comedy Central’s show @midnight regularly, and I was surprised to see Babymetal featured on the show. Even if Babymetal (and Kyary) are only really viewed in an “oh Japan” light, it’s still exposure that might increase the public perception of JPop. Babymetal DID reach #3 on the American iTunes charts, after all. I was trying to out-weird a friend in music tastes, and when I showed her Headbanger she replied “Oh I already know Babymetal.” It isn’t always helpful for the public perception to be “what weird stuff” but hey, look at how successful Kyary has been, doing a mini tour in the US. Babymetal has finally put out their first album, which is, like I said, getting more international attention. 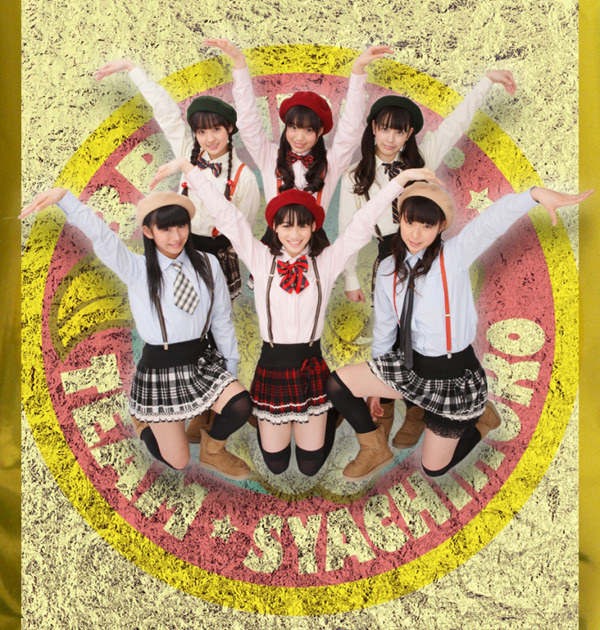 It collects all their singles and songs through Megitsune and adds three new ones. While this means that if you’re already a Babymetal aficionado you will probably already like this album, it doesn’t necessarily mean it’s a successful one. So how is Babymetal’s first album? This is the type of thing that is pretty appreciated at concerts; I can imagine getting really pumped up hearing this. As a non-metalhead, though, I don’t think I fully appreciate listening to it on its own. It’s a good opener that has good metal elements; the choral vocals work especially well. It’s not the type of song you’d listen to on its own, but it does its job very well. It doesn’t quite have the appeal of some other idol group overtures just by virtue that this is metal and lacks the cheese that some of them rightfully have, but it’s still a good representation of Babymetal. 2. Megitsune – I considered Megitsune to be one of my favorite songs of 2013 and I stand by that. While Babymetal started the year out strong with their long-awaited major debut Ijime, Dame, Zettai, Megitsune remains a lot more compelling to me. Megitsune combines Babymetal’s standard blend of metal and pop with some more traditional Japanese sound. This blend shouldn’t work as well as it does, and Megitsune is a cohesive song that manages to be accessible, despite the varied elements that it brings together. This song is a mixed bag; some people are much less fond of this than I am, and I honestly do not blame them. If you’re looking for the most metal experience, Megitsune is not your song. However, I think it ended up being one of Babymetal’s most successful songs for what they do in blending genres and mixing pop with metal. 3. Gimme Choco. – One of the things that Babymetal sticks with, for better or worse, is the whole pop song formula. Their arrangements, vocals, instrumentation may scream metal (literally), but the songs themselves, at their core, are often pretty standard pop songs. Ijime, Dame, Zettai for example – the instrumentation is metal, but it has a pretty standard verse –chorus structure. It’s a song that you could imagine as a standard idol pop song if it was done by a different group. Gimme Choco is a different beast; parts of it sound pretty standard idol pop (the sung sections by Suzuka, mainly), but it doesn’t have a very similar structure. It’s mostly alternating Yui and Moa’s shouted parts and Suzuka’s shouted parts. In a weird way, Suzuka’s vocals almost sound like they should be a part of a different song, like they’re an idol pop song that Gimme Choco sampled. This isn’t the case, but it sounds that way at times. Gimme Choco is the type of song that shouldn’t be catchy the way it is. The first listen I was unsure of what to make of Gimme Choco, with its unusual structure and how disjointed Suzuka’s vocals were with the instrumental parts. However, this is a song that will get in your head and not get out. I don’t think this is Babymetal’s best song, but it is a good one. It’s the type of song I’m glad is an album song; I like listening to it, but I can’t see it getting marketed as a single. 4. Ii ne – Ii ne is a weird, weird song. I got hooked on it while studying abroad, so it has a level of nostalgia for me, but it’s still just odd. Rather than pop music, Ii ne veers into dance music while throwing a rap section in there, because why not? Ii ne comes from Babymetal’s weird growth phase where they realized they could reach beyond their Sakura Gakuin fan audience (after Doki Doki Morning kind of blew up), but that they were still unsure of where to go. And it shows. 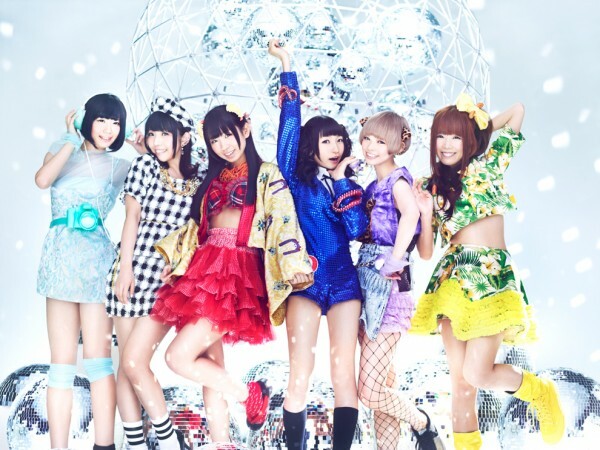 There is a serious disconnect between some of the heavier parts of the song and the dance music, as well as the cuteness of the girls. Yet, that’s kind of what I like about Babymetal; how absurd it can get. I will never not love the disconnect of Yui and Moa going “Kitsune da yo” and the background voice starting to scream. This is weird, messy, and it doesn’t particularly WORK, but this is why Babymetal is so wonderful. Is this the best or most representative Babymetal song? Absolutely not! But Ii Ne is its own brand of fun and a song that I will continue to love, even though it is so unlike the rest of Babymetal’s discography. 5. Akatsuki – This is the B-Side of Megitsune, and while Suzuka sounds wonderful in Megitsune, this is the first track off of this album that really showcases how strong of a vocalist she has become. She’s always had a pleasant voice, but in the past year or two Suzuka has worked so that she has one of the most consistently strong and beautiful voices in the idol world. The opening of Akatsuki showcases just how fantastic Suzuka is. The slow beginning of this song is really what you’re going to be listening to; the rest is just underwhelming after that. The song never gets much faster, but the instrumentation speeds up so that it sounds like Suzuka and the instruments are performing different songs. Suzuka is singing a ballad while the rest of arrangement wants it to be a fast paced metal song. This is the type of dissonance that can work, but doesn’t really. If they had increased the tempo of Suzuka’s melody or if they had made it a more standard ballad it might have worked. If they were willing to go a little crazy they could alternate between these or change up tempos a la Hyadain. However, this never happens, and this means that Akatsuki falls a bit flat after the fantastic first minute. I imagine this song will grow on me; I know I will listen to that opening minute more than once because I love it. However, this is the first real disappointment of the album. 6. Doki Doki Morning – Oh, the song that started it all. In a way, Doki Doki Morning sounds kind of outdated, because it is. This is Babymetal’s first attempt at mixing metal and idol pop and it’s a bit hamfisted. The chorus is just a straight idol pop song with no metal anywhere to be seen, and the metal influence is all in the verses and instrumentation. Still, there is something fun about the opening of the song, which starts out like any other cute idol song before breaking out into heavy guitars. It’s difficult to imagine this in any other context than how I encountered it. I listened to Doki Doki Morning right when the short PV hit YouTube for the first time, and it was a big surprise just how much I liked the metal and idols combination. Nearly every other Babymetal song after this is much more sophisticated with how it mixes these two genres, which makes me wonder how Doki Doki Morning sounds to someone whose first Babymetal song was stumbling across Gimme Choco. There’s none of that wonder and excitement of finding something new. Really, this isn’t Babymetal’s best, not by a long shot. However, I still have a lot of nostalgia and fondness for Doki Doki Morning, and it’s still a very enjoyable listen. 7. Onedari Daisakusen – Onedari Daisakusen starts off a long line of what can be considered Yuimetal and Moametal songs. Suzuka dominates the vocals of the main singles (and for good reason, with that voice!) but Yui and Moa often get a B-Side to call their own. The thing is, Yui and Moa aren’t Babymetal vocalists. They sing well enough in Sakura Gakuin, but they are considered the two “Scream and Dance” members to Suzuka’s vocalist. Which is all fine and good in a main song, but this has always lead to some interesting maneuvering for their B-Sides. Onedari Daisakusen decides to have Yui and Moa rap with a little bit of singing for select parts. Yes, rapping idols. While Yui and Moa don’t have the rapping chops of groups like Rhymeberry and Lyrical School, they hold their own in the shouted sections. Even if the section where they chant “One for the money, two for the money, three for the money, money money money money” makes me laugh. The arrangement of this song is a major standout; one of the noticeable Babymetal trends is that the arrangements prefer to make Yui and Moa focused songs a lot darker and a lot more, well, metal than the main single. This arrangement is a mix of metal guitar work, a real orchestral sound, and a faint sung chorus in the background. It sounds fantastic, and while it’s a bit silly with Yui and Moa’s chanted sections it still just works. This is the type of song I’d play for someone if they were unsure of how ridiculous Babymetal could get while still being amazing. 8. 4 no Uta – This is another Yui and Moa heavy song that focuses on chanting over singing. Unless you have a decent/basic grasp of the Japanese language, you might not appreciate just how great these lyrics are, so here’s the lyrics basically. There are two words for “four” in Japanese; there’s yon and there’s shi. Shi also means death. So Babymetal decided to both have fun with numbers and drive home the far too dramatic death themes. This is basically Babymetal being kind of silly, and in a weird way living up to their name. Combining kind of goofy counting lyrics a la Mini Moni with driving home the word “death,” in addition to the metal background vocals makes this song memorable, and takes both parts of “Baby” and “Metal” in fun ways. There’s also a reggae-light section where Yui and Moa sing over it. This is definitely what goofy is to Babymetal. At this point the song is the most fun when you’re first hearing it and realizing what they are going for with the lyrics, but on its own it is a whole lot of fun, showing a playful side to Babymetal. 9. Uki Uki Midnight – and this is the B-Side to Headbanger. This is still very Suzuka focused, while being the B-Side. This song successfully incorporates some dubstep elements to Babymetal’s typical formula, with this affecting the instrumentation and having a full dubstep break. It works pretty well; I wasn’t very fond of dubstep before this song, but Babymetal makes this work. The parts that stand out are Suzuka’s voice (of course), and the juxtaposition of Suzuka’s whispers to the background vocals shouting. This feels like the natural progression from Ii Ne without the rap break and without Yui and Moa; it’s a lot more electronic and feels like more of a dance song than a pop song. Uki Uki Midnight isn’t as weird as Ii Ne and isn’t as stand out amazing as other Babymetal songs, but it works well and remains a pleasant addition to the Babymetal library. 10. Catch Me if You Can – Now we’re back to Yui and Moa focused B-Sides, and Catch Me if You Can is a particularly good one. This is one of the most ‘metal’ Babymetal songs on there, with the possible exception of the chorus in here. This is very dark and guitar/bass heavy, with a heavy drum beat. I find it a bit funny that they choose to make the Yui and Moa songs the most heavy ones, but it works well. The only thing that is debatable is the chorus; it’s a bit of a jarring transition from the heavy metal before it and the fairly upbeat rock afterwards. And by rock I mean very poppy. It’s power pop, really. This isn’t bad, and it’s a good break for the ears from how heavy Catch Me if You Can is, especially if you came to Babymetal from the idol pop side of things (like I did). That said, the heavier parts featuring Moa and Yui are the standout bits, and the chorus feels like it’s a little forced in there. This is the type of song I would play for someone who likes metal and isn’t sure about where Babymetal can go. This is possibly the strongest juxtaposition of cute vocals to metal instrumentals, and I love it. 11. Akumu no Rinbukyoku – Wow, do Suzuka’s vocals sound great here? Here she goes beyond standard vocal strength and sounds VERY interesting. She emotes, fits the song perfectly, and just sounds fantastic. This is the song that, to me, cements Suzuka as one of the top talents in idol pop today. This isn’t hyperbole; Suzuka is that good. While I don’t think this is an actual rondo (the title is ‘nightmare’s rondo’), it is taking classical ideas and using piano and strings in addition to a heavy drum beat throughout most of the song. While I do like the heavy drum beat most of the time, there are a few times where it gets a bit tiring, especially with all the beauty in Suzuka’s vocals and the orchestral background. This song is the stand out new song of the album; while Gimme Choco is fun and catchy and 4 no Uta is silly and goofy, this is a beautiful song that showcases Suzuka’s vocal strength perfectly. This is a song I wouldn’t hesitate sharing with music buffs who have no interest in idol pop. 12. Headbanger – This is one of my top five songs of 2012 and what cemented Babymetal as an act for me. Doki Doki Morning was a novelty (but a good one). Ii Ne was promising, but it was hard to know where Babymetal would go. Headbanger showcased Suzuka’s vocals and focused on the metal and rock elements over the idol pop to show that Babymetal was serious about what they aimed to do and were here to stay. It sounds almost unimpressive now, especially in comparison to Akumu no Rinbukyoku, in terms of Suzuka’s vocals. However, it is still a very solid and listenable song. It’s not as heavy as Babymetal can get, nor is it as poppy as Babymetal can get, but it’s solid and fun to listen to. It’s not revolutionary now, but I can only remember when it came out and I was completely blown away. Headbanger might not be as impressive after a really solid album, but it’s a tight, well-written, and ultimately very listenable song. 13 Ijime, Dame, Zettai – This is the song that just makes sense at the end of the album. It should be either at the start or the ending. And since Babymetal Death has to be the opening, the ending it is. This is another song that was highly awaited; it had been played for a while before anyone online (not going to shows) was able to hear it. And wow, was it worth the wait. It’s Babymetal at its most epic, doing very dramatic, highly metal pop. At its core IDZ is a pretty basic song; it’s done in a fairly standard pop structure of verses and choruses. It’s not hard to imagine this done as just a standard pop song. However, the way that Ijime, Dame, Zettai stands out is in the execution. All the arrangement is wonderful, Yui and Moa’s shouts fit very well, and Suzuka’s voice is just beautiful. Ijime, Dame, Zettai isn’t my favorite Babymetal song. I love it, but I don’t seem to love it as much as some others do. However, it’s very well executed and is ultimately a great song. Overall: Babymetal’s first album is a very good one. There are no bad songs, and the slight missteps it takes are very minor and easily forgettable. If you are seeing this review and you aren’t already accustomed to idol voices, listening to the Yui and Moa heavy songs will take some getting used to. Likewise, if you listen to primarily idol pop music and you have no experience with metal, this might take some getting used to. However, if you’re willing to get out of your comfort zone, Babymetal’s first album is an excellent jaunt into new territory for idol fans and metal fans alike. 9/10.